The schema of category theory used without mentioning “category theory”? I have seen these types of schemas often in contexts where the word "category theory" is not mentioned at all. For example, where $X$ is $R^d$ and $Y$ is $M$ (a manifold). Now I am not at all knowledgeable about category theory, and I only stumbled upon this scheme by accident, realizing I've seen them many times before. Does this mean that I have been "working" with category theory all along without knowing it? Are all these types of schemes actual implicit applications of category theory, or are they also used in "non-category-theory-ways"? Yes, in the sense that some of the basic ideas that category theory studies has filtered down into common mathematical parlance and practice. However, category theory is about the in-depth study of categories. Just using categories and related notions doesn't mean you're studying category theory any more than talking about sets of elements means you're studying set theory. The picture you write down is usually called a "commutative diagram" (or just a diagram, if its commutativity has yet to be proven). The scheme you write down says, somewhat tautologically, that $g \circ f = g \circ f$. 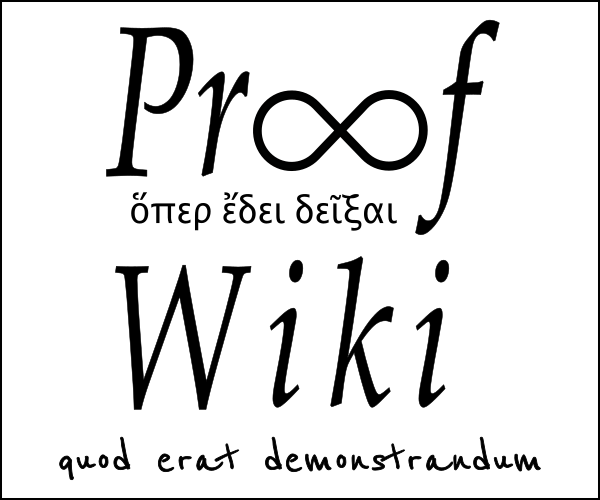 If the diagonal had been labelled $h$, the diagram would say that $g \circ f = h$. This comes up in lots of contexts: $X,Y,Z$ could be groups, and $f,g,h$ could be group homomorphisms. Or $X,Y,Z$ could be topological spaces, and $f,g,h$ could be continuous mappings. Or $X,Y,Z$ could be nodes in a graph, and $f,g,h$ could be paths. Or $X,Y,Z$ could be elements of a poset, and an arrow $X \to Y$ could mean that $X \leq Y$. 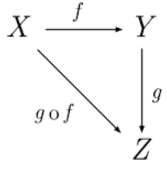 Category theory is all about recognising the similarities between these situations, and abstracting away from them: a category is (more or less) just some objects (denoted $X,Y,Z,\ldots$) together with some arrows between objects (denoted $f: X \to Y, g: Y \to Z,\ldots$) which can be composed if they match (e.g. $g \circ f: X \to Z$). In that sense, a diagram is really the essence of category theory: categories are about equations between different compositions of arrows, and a diagram is a visual way of representing such an equation. Does this mean that I have been "working" with category theory all along without knowing it? One of the principle of category theory is to do "once for all" what you are doing systematically in each field of mathematics. Not the answer you're looking for? Browse other questions tagged notation category-theory or ask your own question. How to understand the definition of sets in homotopy type theory and the role of univalence? Is it possible to formulate category theory without set theory? What should one know about abstract sets and structural foundations? What does the category of RDF models look like in Institution Theory?